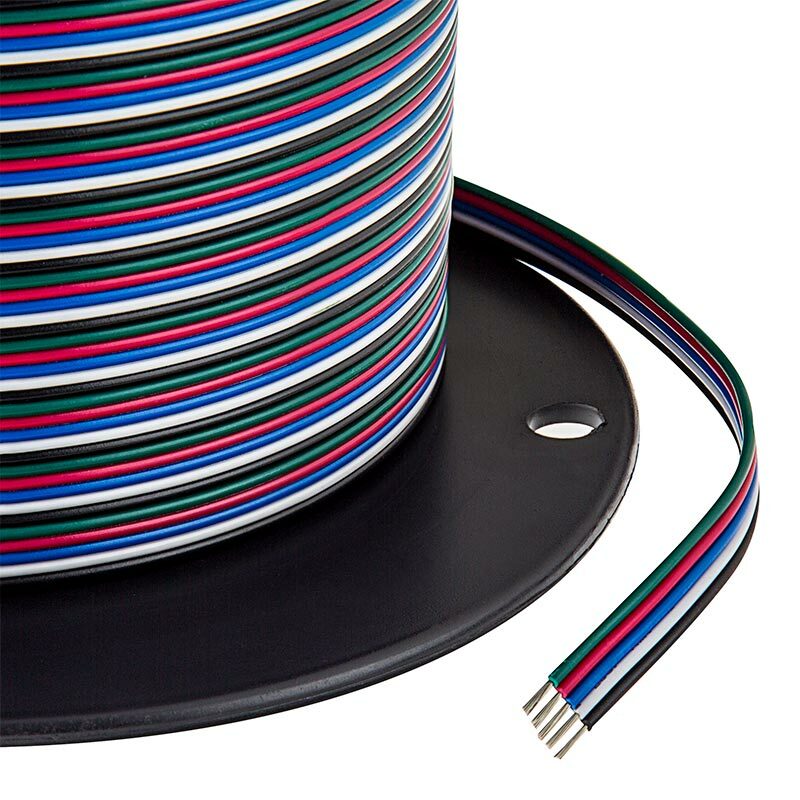 RGBW-5Wire peel-able 22 gauge 5 conductor power power wire. Useful for lengthening segments of RGBW LED strips and RGBW controllers. Price per foot. Solderless Clamp On Pigtail Adapter for 12mm RGBW LED Strip Lights - 6"
RGBW LED Strip Lights - 24V LED Tape Light w/ White and Multicolor LEDs - Advanced Color Blending - 366 Lumens/ft.